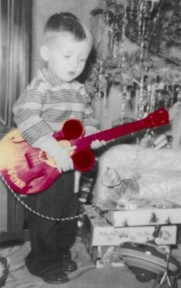 SkallyWagz means "Rock and Roll"
one purpose: Rockin' the House and having Fun! (Make that TWO purposes). Club, Party, or Event, the answer is "SkallyWagz"! Check out "I Hate Myself for Loving You" shot Live at City Lights!! Check out Skallywagz Video of "Honky Tonk Woman" shot Live at Zina's!! year or so finishing a new batch of paintings. Check 'em out and see what you think. 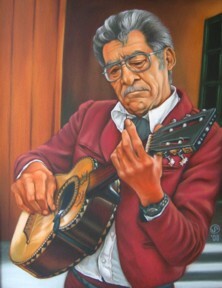 Click here to see paintings! 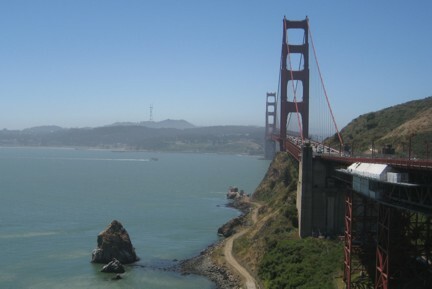 Golden Gate bridge made it a very special experience! Check out the SkallyWagz Online Store! Shirts, tops, mugs, clocks and the Official 2008 SkallyWagz Calendar! Check out Skallywagz Video of "Black Magic Woman" shot Live at City Lights! Featuring some of the most incredible Rock and Roll guitars of all time! a 1959 Mickey Mouse Club Special! We've got a new feature; the Dr. Bones Ukulele Zone! humble Ukulele back to spotlight that it deserves! 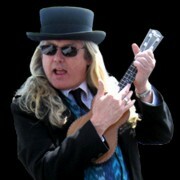 Click here to check out the SkallyWagz Ukulele Page. If your into Blogs, the SkallyWagz have got the blog for you! or send me a great topic, and I'll link your band to the blog! 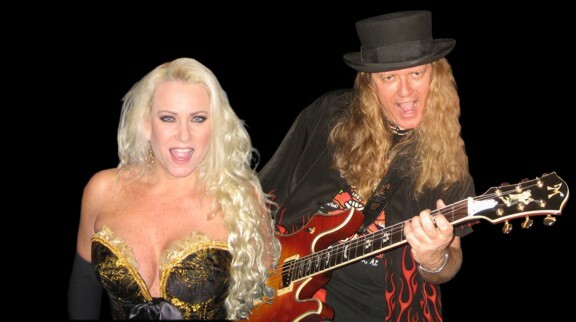 great rock and roll bar/club band! 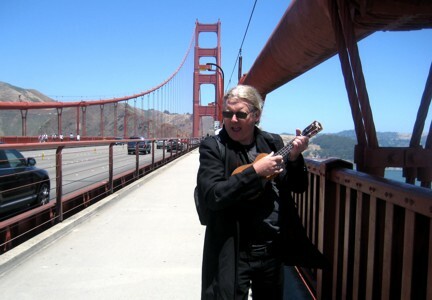 "Dr. Bones" plays Ukulele in the exact middle of the Golden Gate Bridge! "Somewhere over the Rainbow" seemed like the perfect selection.